It's the final North American Nintendo Download Update of 2015, and it's a little thin on content. Despite that there is a gem from the N64 era and some promising discounts, so all hope is not lost; let's get to it. Missed the European Nintendo Download Update? Well, your New Years' Resolution can be to check out all the details right here. Molly Maggot (Gnob Software, $1.99) - Taking into account the developer's chosen name and the trailer with inconsistent sound and Flash-level visuals, we're not overly optimistic about this one based on our first impressions. You seem to have to dig and crawl through levels seeking escape; we'll let you know what we think in a review. 1080° Snowboarding (Nintendo, $9.99) - Perfect for the season as you can blast down the virtual slopes in this much-loved skiing title. You can take on races, the half-pipe or dramatic trick jumps; this will certainly hold fond memories for some older gamers. 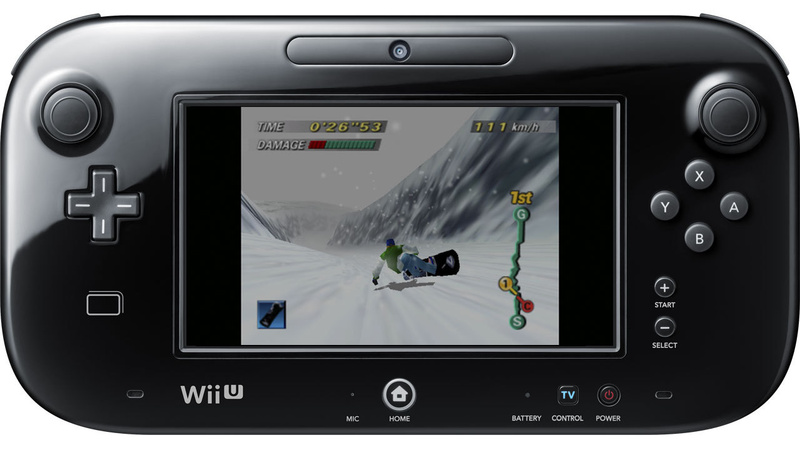 We enjoyed it in our Wii Virtual Console 1080° Snowboarding review and will take another look. That's the lot to wrap up the year in North America. Let us know what you're planning to download in the poll and comments below. No Wave Race 64 makes zerkie a sad gamer. And again nothing worth it. You'd think this week and last would be stacked looking to get people to hand over their Christmas money but nope, that would make sense. ...why is Olaf's Quest still getting regular promotions? @Lizuka I would think this week would be weak as anything because its been two major Holidays and everyone takes off these two weeks. At least it's a decent, well-loved and well-known virtual console game for once, but still nothing for me. Forget half the VC Europe got today, it's still NONE of what they got last week, which are far more important releases (at least to me, and probably lots of other people)! @Stuffgamer1 Don't worry, I'm sure we'll get Super Mario RPG in about two years. Just after Zero Mission. @Lizuka I agree. I would have loved to have seen more sales and discounts on the eShop. It's shame that Nintendo doesn't think like we do when it comes to spending habits. Yeesh. Not exactly going out on a high note here, NoA. I'll check the Circle discounts, but I seem have most of their games already. What's funny is there's exclusives on Xbox and PlayStation so you have to get those other systems to play those games. Apparently for Wii U you have to live in other countries to get their exclusives! They probably picked 1080 Snowboarding because it's still winter, I think Wave Race 64 will come in June. Europe probably only got it because its summer in Australia right now. No thanks I rather play a VC game that takes me down Midas River, into Moleville mines and up Booster Hills and into Smithy's factory than on an icy slope. NOA you fail, can't they just make Reggie retire already? Well,... uh, oh wow. Anyway, God bless, & happy new year to everyone! In the meantime, I'm gonna d/l Rytmik, Mega Man 7, Mega Man Zero, or 1 of the Smash dlc packs. Edit: Don't get wrong. I'm not complaining. There doesn't have to be something to d/l every week, at least for me. I have enough goodies to play, & there's still stuff on the e-Shop that I still would like to get. So, I'm good. But, I can understand NoA needing to have stronger release weeks, as well as for them to start putting some more effort into the VC. @Grumblevolcano: i thought as much, & still do. I've been doing a little bit of research for awhile and here are games I see have been released in Europe and not here. I just want to know, what is taking NoA so long to release these? I would say that I am surprised, but at this point I am not. They just simply do not care to market the Virtual Console here in North America. For whatever reason they believe that mobile-to-Wii U shovelware is better than games people love and want. So instead of celebrating their storied and great past, they are trading on software that most likely will be rated in the lower half of metacritic (if it manages to get there at all). @gsplatinumdp Those are nothing on Zero Mission. Europe got it in March, Japan got it in June 2014, still no sign of it here. and someone just posted Metroid Zero Mission (GBA) as I was typing this. Not getting anything, not whining about not getting anything. Japan gets Mario Kart 64 next week, and I wonder if we will get it? I feel like there are a TON of DS games that are ready for the Wii U - and by that I mean the games are going to benefit greatly by the move from handheld to console. Oh, and can't forget about Wild Gunman. NoA never got that one either on 'Back to the Future' Day. Is The Swapper still on sale for $2.99? I keep forgetting to jump on and pick that up. Nintendo Life should have an ongoing article that lists all 3DS and WiiU eshop discounts, and when they end. @Barbiegurl777: Is Chat-A-Lot any easy, or cumbersome to use? Let's all draft an apology letter to NoA in order to make amends for our angry reactions to the last E3 presentation. That's the only way that we're ever gonna get back on track, here. As Nintendo of America continues to show that it is either asleep at the wheel or has decided it doesn't need it's fan base in the states, I will again take a pass on everything until they start to treat US fans like they actually value them. I'll hang onto my money... maybe save up for a PS4. Well the bright side is I don't have to spend any money. I can end the year with a clean credit and money in my pocket. This year have been revenge of the EU. Maybe next year NA will be on top(ish) like before.. Wave Race: just downloaded it, it's framed with the most gorgeous black borders around it. I thought we were getting the American version, of was that just 1080°? And here I almost regretted buying two Steam cards last night. ALMOST. 1080 was one of the games i picked up the day I bought my 64. Still one of my favorite N64 games. Definitely paying the upgrade price on that one. 1080 is tempting, but I'll pass. Well, this is a dissapointing way to end 2015. I've been wanting to buy Runbow, though. Does anyone know if it has a single player mode? I have enough to play but that list of releases was still rough to look at. Nothing for me as usual. Oh well back to the games I got for Christmas! Nothing for me this week. At least the Runbow discount and 1080 Snowboarding should tempt some people. What a joke NoA is. Back to Sony I go for this week. The last times the downloads were only a few each week, meant that the next system was coming out. Wii got this way a year before the Wii U was released...kind of makes you think if the NX really is coming out this year. Other than even thinking that, it's been a sad few weeks for all of the system's stores. Playstation had a pretty lacking download and so has X-box...probably due to the holidays, but also, they're probably getting ready for the new year and the next E3. Once again, North American VC releases are disappointing. Where is Super Mario RPG? Where is Metroid: Zero Mission? Sigh. @StraTTtheRipper It does and it is very substantial for a party-type game. @MadAussieBloke I did exactly this. And then I opened my 3DS and kept trucking with Animal Crossing New Leaf. @JLPick I don't think you can really compare as that has been the norm for the vast majority of the Wii U's lifespan in NA. EU's weekly downloads are still pretty healthy. I wouldn't be surprised if NoA's New Years resolutions were to not release the VC games that the U.S. wants that other regions got. We should petition NoA to give us some of those games that the EU already has. Or the reason better be that when the next Nintendo direct comes around they are all going to be released that day or within the month. Nice avatar! I actually found the comic book store in Florida where Robert Kraus did all the window art, and has tons of his work displayed. I picked up one of the original Chakan the Forever Man comics when I was there. At this point I'm starting to wonder if NOA is playing some kind of game here. While there's no details about the NX, I wouldn't be surprised if it'll have VC titles as well. By holding back some of the primo titles Europe has been getting, maybe they hope to sell more on the NX at launch. Of course, I'm hoping I'm wrong, but I just feel like NOA has fallen asleep at the wheel. Already spent more than I need to on a couple of sales, Lucas, finishing up Rusty real deal games and Rumble world. So this is good............ for me. @OfNullAndVoid The problem with that logic is NoA has been like this for pretty much the whole Wii U's lifespan. For example there was the SMB3 and A Link to the Past mess in 2013. What happened there? I did not get my Wii U until 2014 so I don't know. NoA really doesn't seem interested in uh... putting out updates that will wow and excite people does it? Even around the Christmas and New Year season. Hey, does anybody have an educated guess as to when Yoshi's Wooly World might get an eshop discount? I want to download it, but $50 is kinda pricey for me right now. @MadAussieBloke Where've you been for so long? Haven't seen you in months! I blame the large number of amiibo sales in North America for our lack of VC games. Nintendo probably thinks we like playing with toys more than playing video games. We like both toys and games. Any chance Excitebike 64 will come out eventually? Is this Reggie's department? Words like, impossibly inept, wildly oblivious and remarkably stupid come to mind. NOA is completely unaware of the wants of its target audience. It's amazing actually. I've gone from - disappointed, to angry, to entertained (and not they way NOA would want me to be) throughout WiiU's lifespan. Nintendo, you've entertained me with incredible ineptitude. Bravo. I haven't completed bayonetta 2 or picked up donkey Kong tropical freeze yet, so that'll keep me occupied. Hopefully 2016 would be better. DJ KHALED. ANOTHER ONE. ANOTHER ONE. YOU SMART YOU LOYAL YOU A GENIUS. EGG WHITESM THEY DON'T WANT YOU TO BE HEALTHY. I'll get 1080 but it wouldve been a nice new years gift if we got re4! I really don't want to jinx my EU releases so I don't want to comment. But come on NoA, shake a leg! Runbow will be mine at last! It's very expensive at normal price in mexican pesos, so this is my chance. Runbow is on discount, so I might as well get it. I was waiting on this precise moment. I wish all these complaints can be forward to and flood NOA's email inbox on a weekly basis every Thursday until they start getting their act together. NoA probably doesn't read the e-mails anyway. @OfNullAndVoid The problem with that theory is that people will buy the VC titles regardless. If they've got them on the Wii and they still get them in the Wii U, they'll get them on the NX. So holding them back just doesn't make sense. I am trying to complete my collection, because I want them to return again and again with a discount or for free in future consoles. Except NoA, they couldn't seem to stop doing incredibly stupid things in 2015, and that will only continue into 2016 so a change in year will be nothing to them. Of course not. They didn't care Operation Rainfall so they definitely won't care for these complaints. @StraTTtheRipper It does. Lots of unlockables and achievements, too. 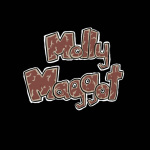 Molly Maggot?!? That sounds... utterly disgusting. How much more can we take? I am a Nintendo Fanboy, but I am about to give Nintendo a big FU!. Microsoft and Steam have no problem taking my money. Ok, no Turbografx or Neo Geo VC in Wii U. Keep waiting. Very tempted to get 1080 because I love that franchise...but my N64 copy works just fine. Decisions decisions. Vote with your money, people. I am going to pick up 1080 Snowboarding for two reasons. 1. The N64 library is very sad. 2. If enough people get it maybe they will put more N64 games out. @gsplatinumdp Buying games you don't want to get games you do want doesn't seem likely to work. That's the list of EU VC yet to release in NA that's worth caring about. I'm not gonna stress it though- they come when they come. As long as they do in fact come, I'm ok waiting. With all the BC titles being added to X1 each month (December brought me Portal, yay!) and new PS2 games for sale on PS4 each week (still waiting for Shadow of the Colossus) and even the occasional gem on Wii U VC (I'll take that Mario Galaxy and 1080, yessir) I'm good. Besides, I've no time for anything other than Xenoblade X until Fire Emblem Fates releases. It probably is unlikely, but a man can dream. @JaxonH They may never come to the Wii U, NX isn't too far away. @JaxonH NOA commonly leaves money on the table. They do, but in a situation like this, I imagine Nintendo Japan will ensure they release the games. Since Japan is the one investing the money to create VC titles, I don't think they'd allow the largest region to say "nah, we're not gonna release the games you made"
I get passing up $ and opportunities, but they stand to gain nothing by holding them back. Maybe I'm wrong, who knows, but I can't imagine they won't release them by the end of the generation. Nintendo's really ending the year with a bang here... Nothing for me this week, what else is new?? Fire Reggie and hire Shibata as his successor. @JaxonH Um what about this situation is any different than all the other times that NOA has ignored the VC? Seriously, give me some hope here. Woah, easy there. I'm not trying to argue about this. Like I said, maybe I'm wrong. But imo, I don't see them failing to release finished VC games that are already in English and already released in every other region. May take forever to get them, but I'm confident we'll get them. I'm buying trains to Kyoto today while it's still on sale. I'm bummed that Sonic didn't put its full line up on sale. I still want air traffic controller Japan. Absolutely loved air traffic controller Hawaii. Awesome air traffic sim. @Windy Yessss! Look forward to seeing you on the Kyoto board! Maybe Narita will be on sale at some point? @JaxonH I am not so confident. Well, can alway bust out the DStwo if need be. Just playing Fire Emblem 6 and FE 12 in English makes it worth it. 1080 is a fun game but I'm shocked there's not a big sale this past week on the e-shop. But that's what nintendo is good at these days.....missed opportunities. And yet the slaps in the face to their North American fans continues onward!! Unbelievable man!! It's pathetic. I've never seen a company so hell-bent on not taking their customers' money. It can't just be laziness at this point. Nothing yet again this week thanks NOA for saving me so much money this year. I had spend my money on something so I picked up and Xbox one and MS love's taking customers money for good products. The Wii U system might actually be my last Nintendo console that I purchase from NOA because of how lazy there are here. I am seriously thinking about importing Nintendo's NX console from NOE when ever it get's released so I don't have do deal with Nintendo Of America laziness with releasing there games. A lot of people have nothing better to do than to complain in the comments section of a small Nintendo news site, lol. Just go on steam or psn or Xbox live or torrents or whatever. Don't know why you people keep expecting anything different, or keep thinking anyone will actually read your complaints. @rsanchez1 True. If they where listening gba games would have been available on 3ds long ago. 1080 is one of those "I'd buy that for a dollar!" games which I did, but after getting the VC version for free, even $1 seemed too high. I enjoyed the Amped and Coolboarders series more. I won't be downloading anything seeing as my house is unliveable for the next few months since a tornado did some major damage to it the day after Christmas, & I suspended my internet service until it gets fixed. (No internet at the rental house I'm staying in, either). Yeah!! You damn Nintendo fanboys! You just go buy your games elsewhere, Nintendo doesn't want to hear your complaints! @mowerdude You shouldn't have to deal with region locks either. Funny how big corporations can take advantage of a global marketplace but you can't. wow, just crap. crap. and MOAR crap, damnit nintendo, put something cool on for once! Now, don't get me wrong, I have downloaded a ton of games on my 3DS since I bought it at launch (many of which I've yet to complete), so I'll be set for a while. But it feels like there's a lot of missed potential with the eShop at this point. On the 3DS I'm sure Nintendo could be releasing GBA games (even if they're lacking VC functions) and digital DS games (which could have local multiplayer unlike their Wii U VC counterparts). And they'd no doubt get plenty of $$$ for both. Because most of the last month's previous sales are ongoing..? There were new releases on the shop this week though. Which is better than the whole 0 PSN got. People do in fact take this week off. Alot of people I know have their consoles off for 6-10 days during this time of year. So while the vocal minority sits in the dark gaming, the rest of us get out and do things. With our families. Because our work lets us do so. And to be brutally honest, after my partner bought me 4 new games for Xmas, there's not really much point in buying something you've passed on for 4 months, is there? @GLA The North American version had borders as well. The PAL release was typically slower as usual with Nintendo in 1997. Funnily enough an Action Replay code adjustment allowed PAL gamers to speed the game up to NTSC and faster. If your TV allows use the Zoom function! Pity Nintendo won't allow gamers to adjust the size within their emulators. Here is hoping that for Nintendo Download January 7th, since Japan is getting Mario Kart 64, that NA and EU also get it. 1080 Snowboarding? I couldn't even understand how the controls work in the game. Whelp... Back to the Steam sale! I'm less than impressed with how the the white snow on the N64 is now grey. Also Wave Race 64, which was praised for its amazing lifelike graphics and physics, only received one criticism in 1996 - the bright primaries used made it too colourful!!! @GLA are you playing it on a widescreen tv? Remember N64 had a pretty low resolution especially games which didn't support the expansion pak. Without an upscalerand filters you need to play the game at its native resolution otherwise it'll look worse. That counts for whether it's a NTSC or PAL version. @Deanster101 The N64 was mainly a 240p console. While Nintendo add a blur filter onto 2D games their emulated N64 games are not filtered or upscaled on Wii U or any other emulator. N64 games are instead rendered at a higher native resolution. It was an advanced system for its era. But Nintendo need to sort out the colour and brightness. Why they are emulating games alot darker on Wii U is a mystery. @kevin74 That's terrible! Where was that? @Lizuka It's like Nintendo doesn't have a clue about their fanbase. I've supported them for a long time but this new console better be well thought out and have 3rd party support. If it is an underpowered mess I will just shake my head and wait for a few years until I pick it up. I barely play my Wii U these days and that makes me sad. @Amrulez 3rd party? are you nuts?